Cardiff is the artistic and sports capital of Wales. With over 1 million residents, it is the largest city in the country. 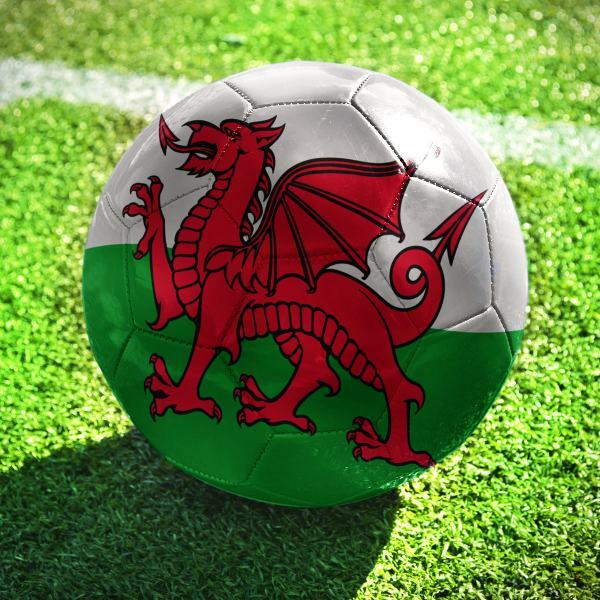 Cardiff offers you the chance to experience its exceptional creativity and its passion for sports. The leading tourist attractions of this destination include Cardiff Bay, National Museum Cardiff, and the Millennium Stadium. Prepare yourself to experience this unique capital of Wales, because cheap flights to Cardiff are now available for a limited time! This destination is home to the Cardiff Airport (CWL), which is a 30-minute drive or a scenic 30-minute train ride from the city centre. Cardiff is Wales’s capital for the performing arts. 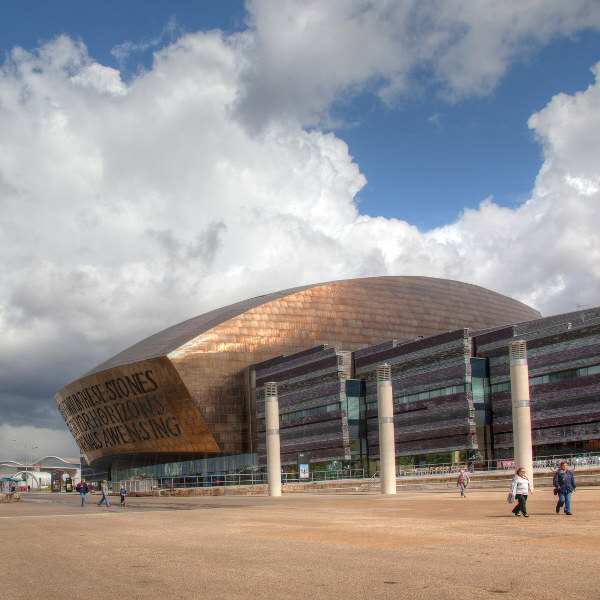 Visit the Wales Millennium Centre, the production area for opera, dance and orchestra. The Millennium Stadium in Cardiff is the place to watch all your rugby matches, UEFA clashes, and exciting concerts! 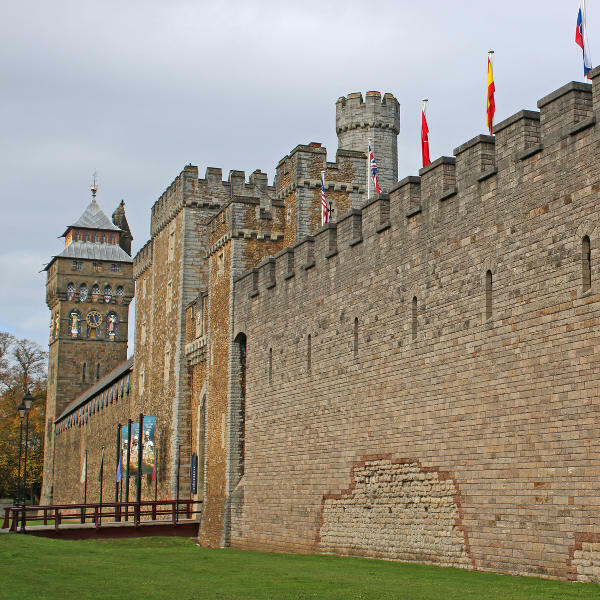 The Cardiff Castle was constructed over ruins that originated during the 11th century! Explore all the evidence of this distant time. Cardiff’s temperatures range from freezing to moderately warm throughout the year, with low to high volumes of rain as well. While the summer season (June – August) gives you the best weather, it’s also peak tourist season, when accommodation becomes scarce and you’ll have to contend with crowds of tourists. Winter (December – February), meanwhile, is definitely low season, and most of the tourist attractions close around this period. The best time to go is during the spring (March – May). You’ll be able to enjoy cool temperatures, low rainfall (especially during April and May), more availability and better hotel rates. With much thinner crowds, you’ll be able to enjoy your time in Cardiff at your own pace. Be sure, though, to pack more winter wear. Cardiff is the capital of Wales and its largest city. Besides being the seat of the National Assembly of Wales, this destination is rich with museums and is also the art capital of the country. 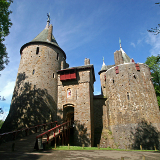 The number one attraction in this holiday city is Cardiff Castle, which is actually a collection of castles scattered around a central green. 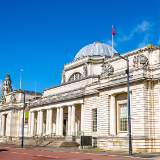 Around the Alexandra Gardens, you can find the Civic Centre, City Hall, police headquarters, the Cardiff University, and the National Museum of Cardiff, one of Britain’s finest museums, with exhibitions on natural history, archaeology, and art. Alternatively, watch a game at the amazing 72 500-seater Millennium Stadium, which sits on the east bank of the River Cardiff. Then, there is the Wales Millennium Centre, which is the country’s premier performing arts complex. Compare several airlines, and book your cheap flights to Cardiff online at Travelstart! The Centre for Diseases Control advises that travellers ensure all of their routine vaccinations are up to date, including those for hepatitis A, hepatitis B, and rabies. While Cardiff enjoys a high level of safety, make sure, however, to avoid Ocean Way at night and during the early evenings in winter, as it is a hotspot for prostitution, and you might get stopped by police if you take a walk there. A large variety of hotels, lodges, hostels and bed and breakfast rentals are available in Cardiff. They include features such as free parking, free breakfast, free Wi-Fi, restaurants, bars, gardens, and more. The cost of enjoying one of these accommodation offers ranges from around £ 15 to around £ 100. 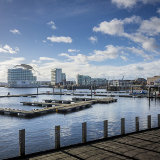 The central area of Cardiff is ideal for exploring on foot, since the main attractions are all close enough there. Plenty of signposts are available to help you find your way around the city. A large network of buses are available as well. The fares are low; however, you must have the exact change. £ 1.80 will be enough to buy an adult a trip across the city, and £ 3.60 gets you an all-day pass to travel across the entire network. Sightseeing buses are available in the summer, and cost around £ 8 per person. Other options for getting around include the train, taxi (which you have to call to book on +44 29 2077 7777 / +44 29 2045 2045 / +44 29 2033 3333), and the waterbus (available for around £ 5).